Another year is dawning, dear Father, let it be in working or in waiting, another year with Thee. Wow, a New Year is again upon us,but the old year went out with more memories made! All of the children made it home this year for Christmas except for the oldest son. There were 17 around the table for Christmas Day ! There was lots of food ,noise and commotion for fours days. 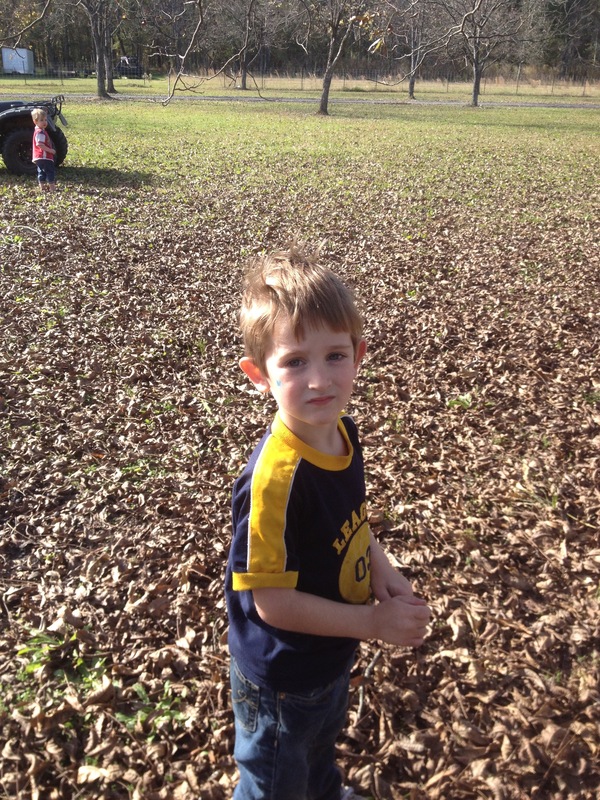 The weather was warm,so the grandchildren totally enjoyed the trampoline,bike,and trucks. 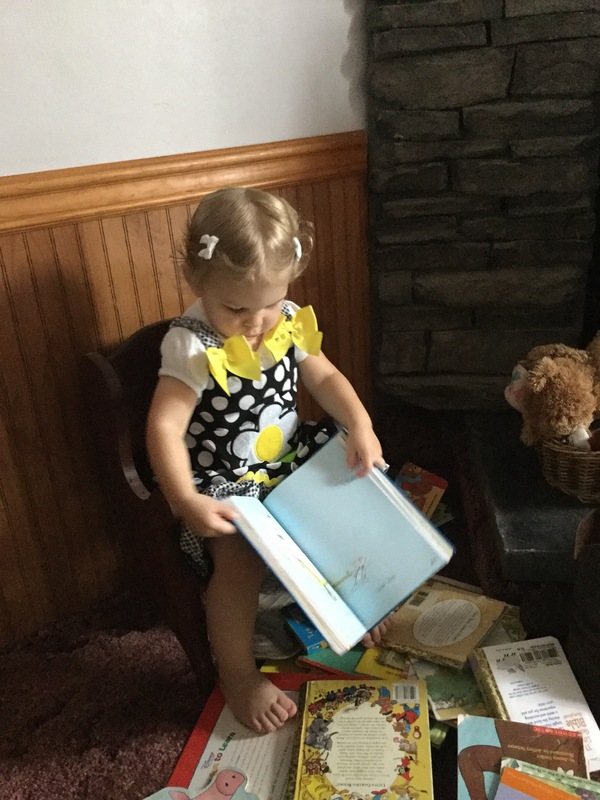 The only granddaughter took a little timeout to read. 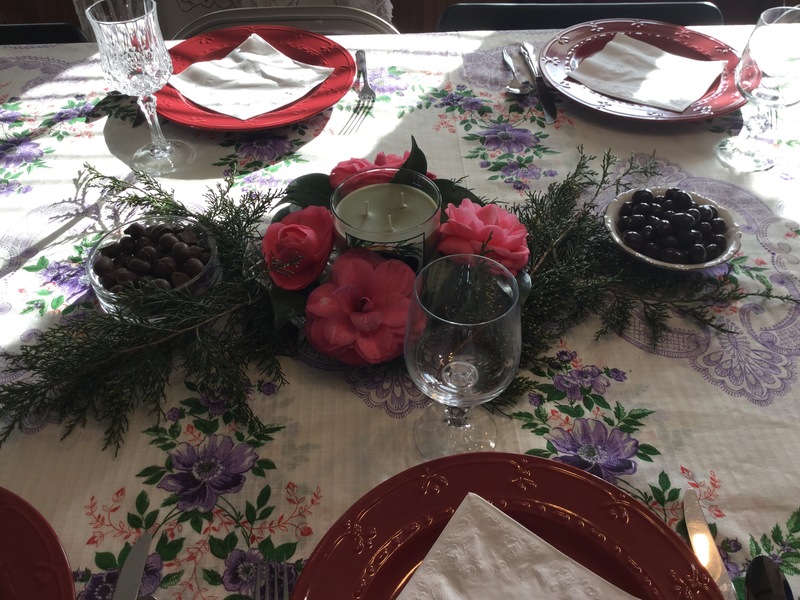 The camellias are blooming beautifully right now ,they were a lovely addition to the table. 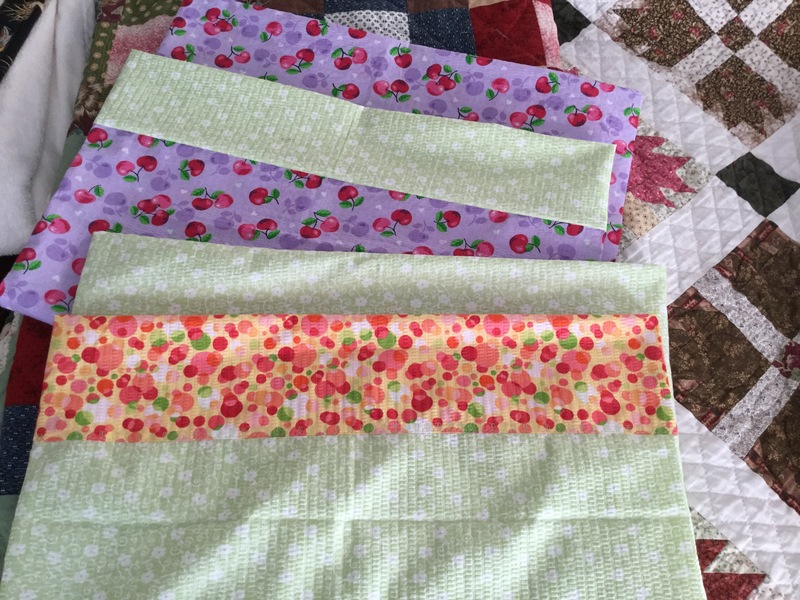 Now life is back to everyday living, I’m back to my sewing room… It felt good to be back in my sewing room after it was used as a bedroom for week. I was able to finish the center of the Fire Island Hosta ,daughter is tickled with it. And I finished this top with the blocks that I goofed up. Never know where a goof up might take you..
Made these pillowcases for my Mom,she is in rehab to regain what she lost in a stroke a few weeks back. 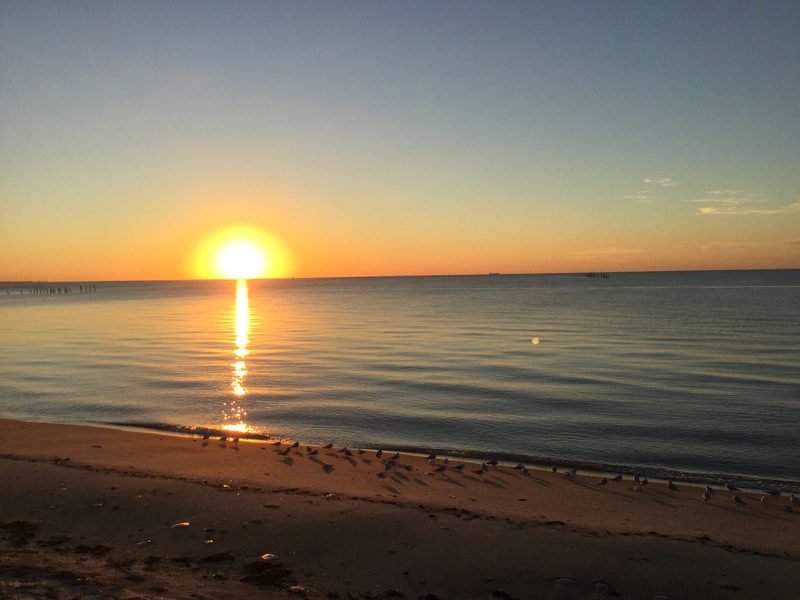 Took this picture at the Chesapeake Bay tunnel on the way home from seeing Mom. It was a beautiful evening !! 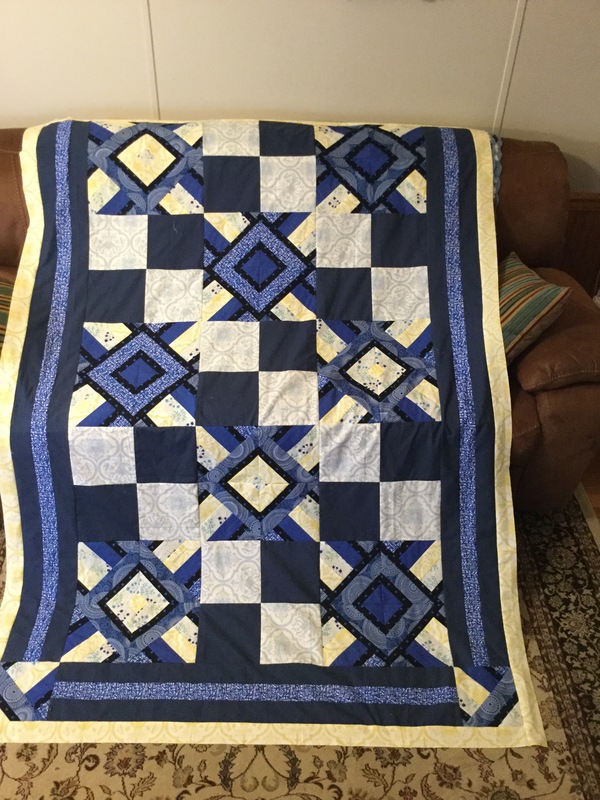 This entry was posted in Fire Island Hosta Queen, quilt, sewing, Uncategorized and tagged New Year, quilts on December 31, 2015 by Deb. 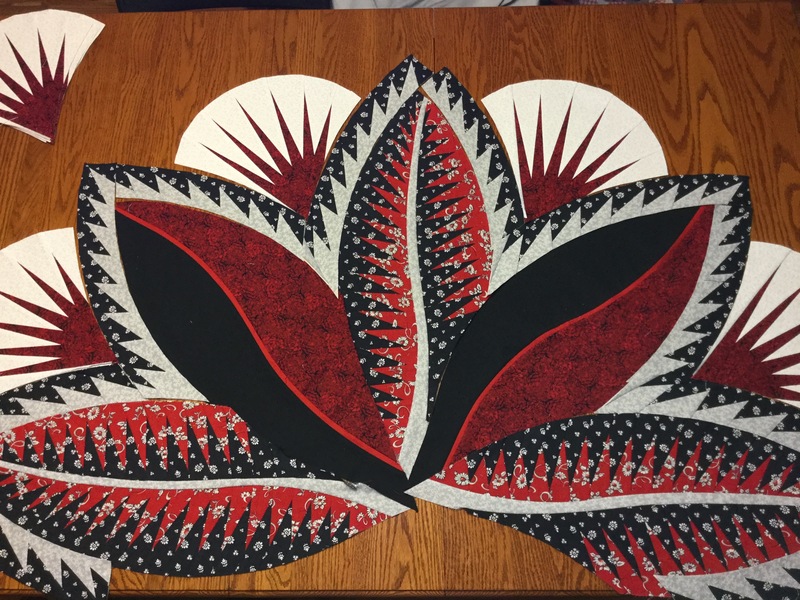 My daughter is a real fan of black ,red , and white, Her room is of those colors,when she ask me to make her a Fire Island Hosta , it came as no surprise as to the colors. I have worked on it, would like to have the center put together for her for Christmas . I added silver in with her colors, as I don’t think I’ll have enough of the white that I have on hand. 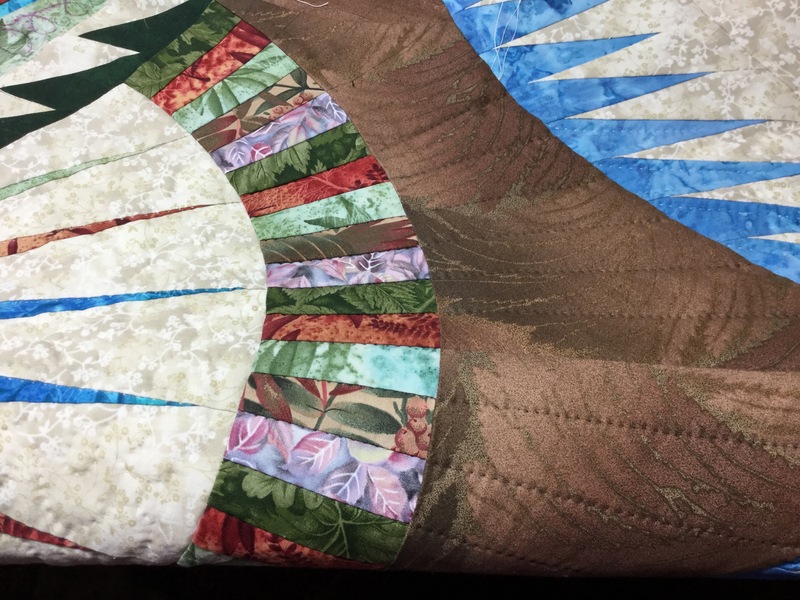 It goes well with the silver in the leaves, it should blend in well when the quilt is finished. It should of looked like this..
Now any one would know that when you leave off a 1.5 inch stripe it is going to mess up a pattern. Which it did! Now being sorta lazy… Didn’t feel like ripping out 4 sets of these stripes,I decided to just go with it. 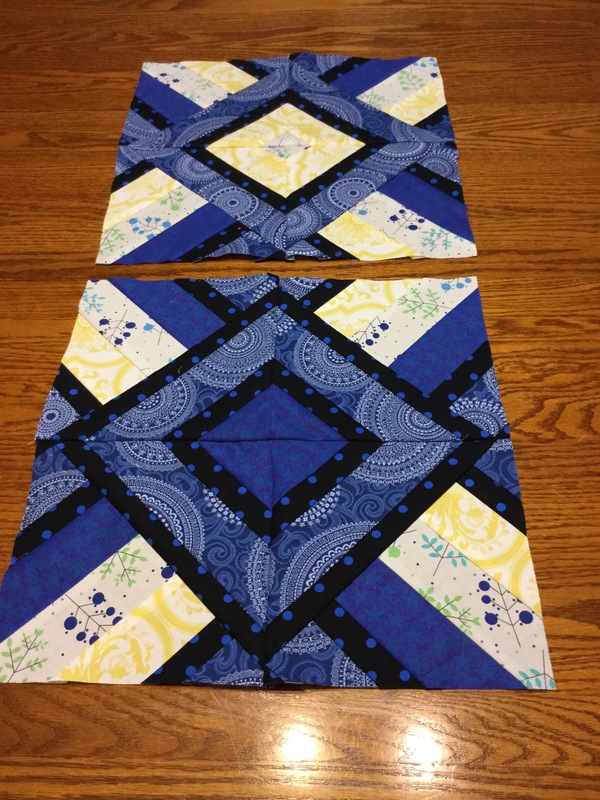 Here are the two blocked finished. 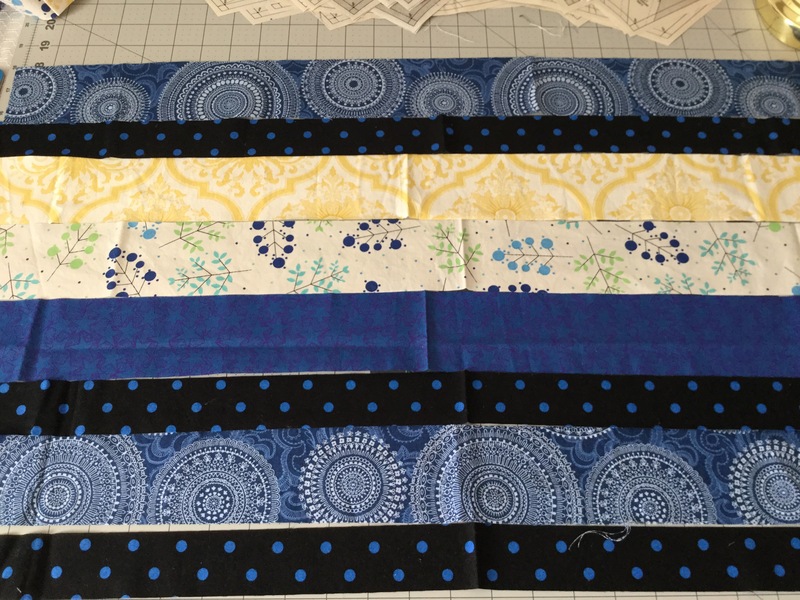 I will need to put sashing in between for if you put them together like the original pattern called for the design doesn’t go right. 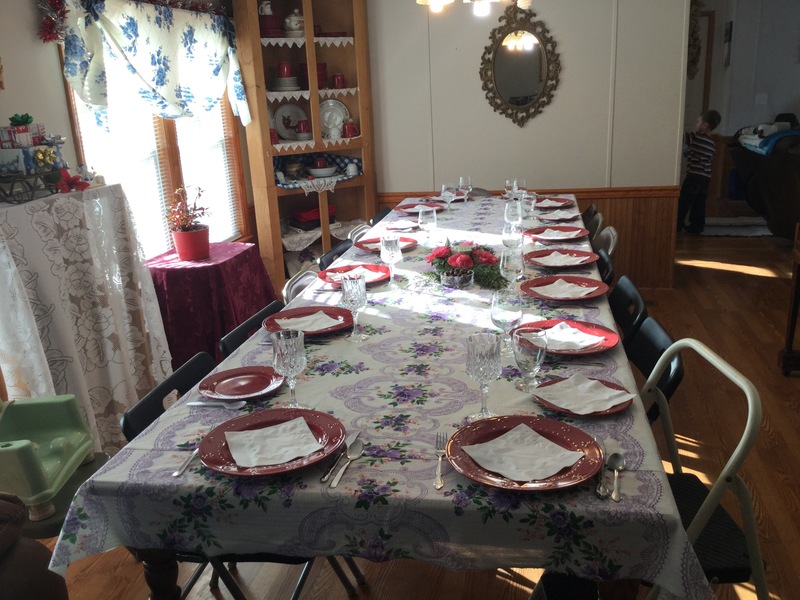 Thanksgiving day had some very special moments…. Coffee would appear magical beside me when I would go to relax in my chair! 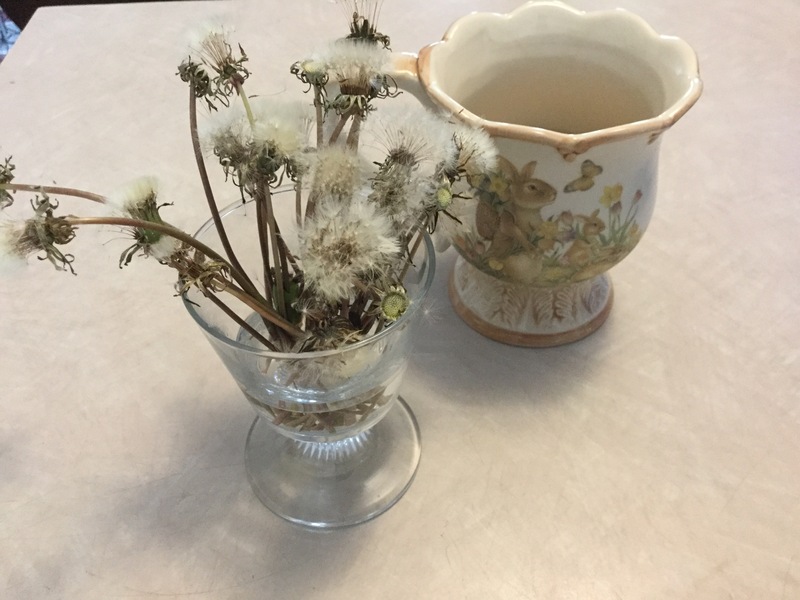 And then two sweet little boys brought me these dandelion seed fluff. 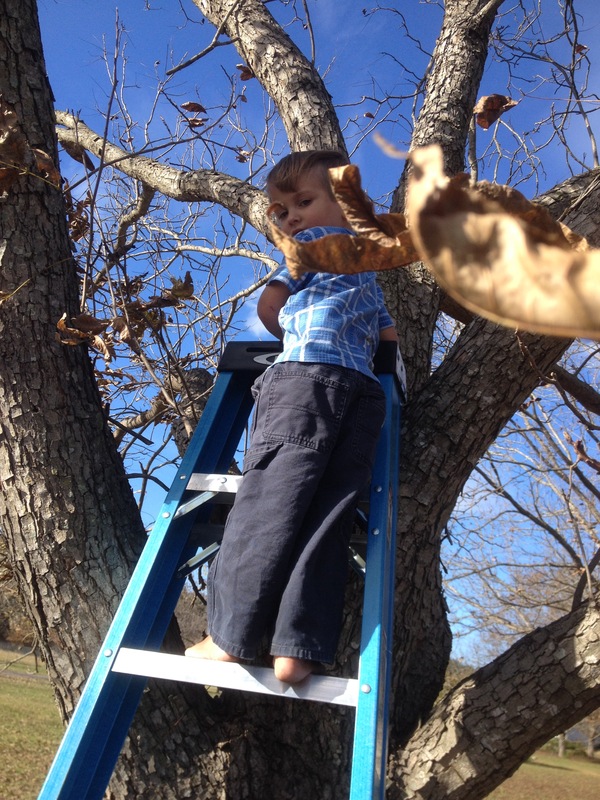 These two little fellas were also helping me pick up more pecans, but I think I cracked more for them to eat then we picked up!😄 Brendan gave me the excuse that he was shaking the tree for pecans to fall when ask why he was up the ladder. 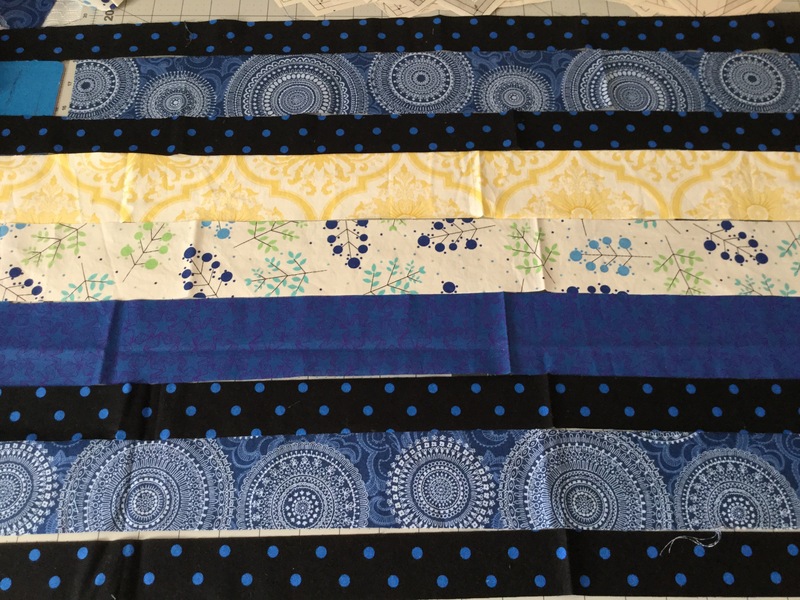 And I’m half way done quilting on this quilt!! 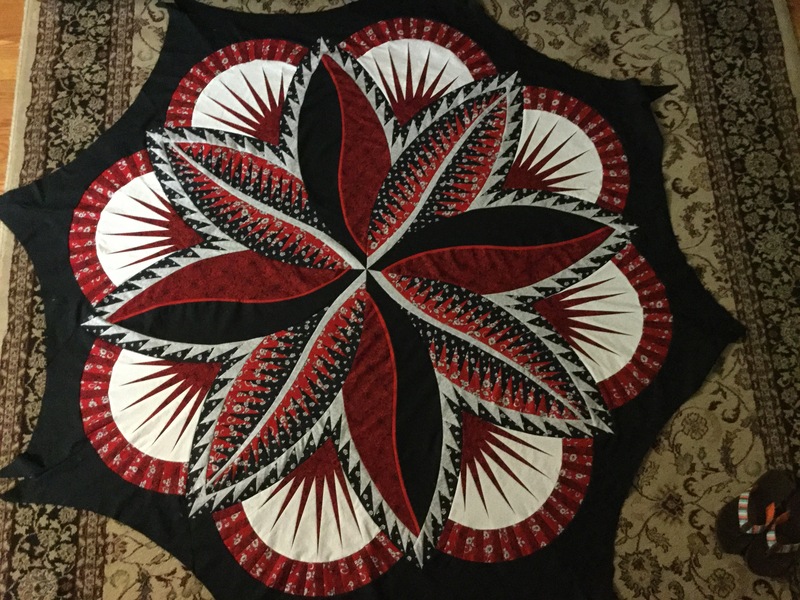 This entry was posted in Fire Island Hosta Queen, hand quilting, quilt, sewing, Uncategorized and tagged quilting on December 5, 2015 by Deb.